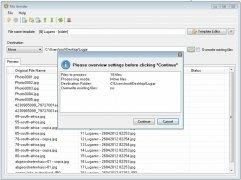 File Grinder is a a light tool to rename, move and copy file batches, without complex configuration menus and without any need to install anything on your PC. 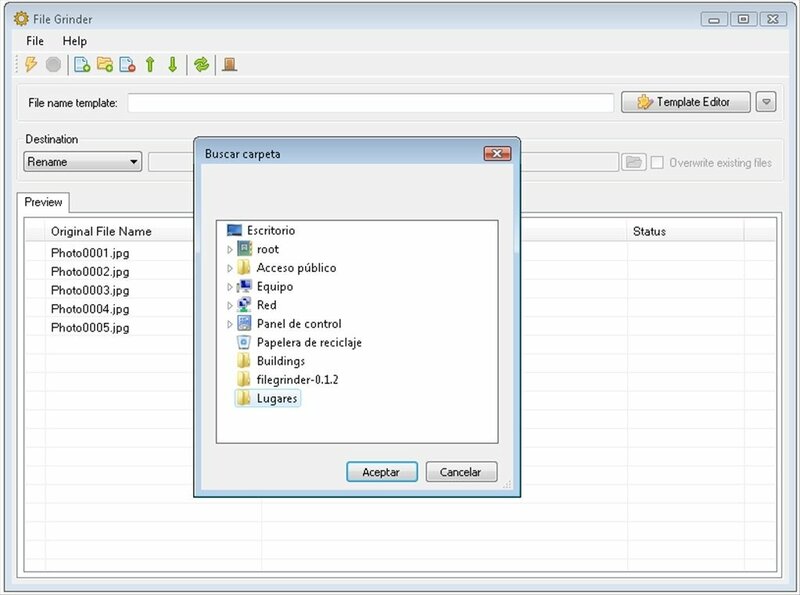 All you will have to do is expand the program in any folder to be able to start using it. 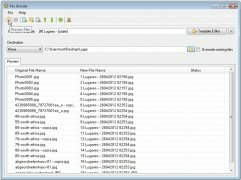 An application without complex configuration options to rename files. 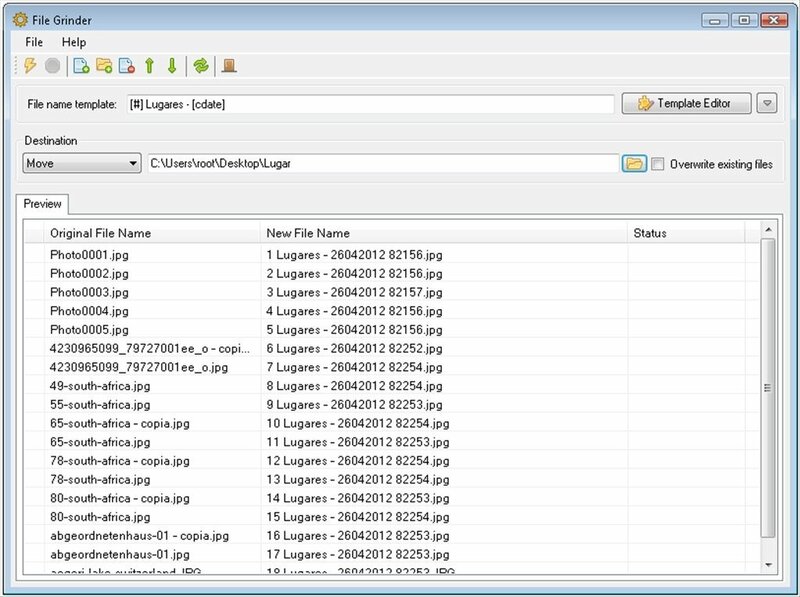 If you have ever used a program to change the name of your images, videos, documents... or any file, in general, you will notice that using File Grinder is very similar: select the changes that you want to carry out over the file editing a template by means of tokens, preview the results and press the 'Process files' options to finish. 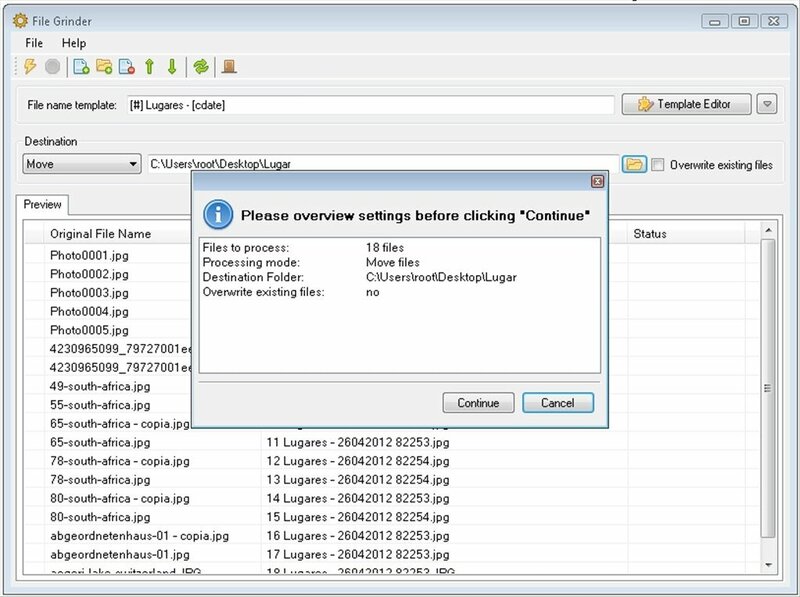 Process file batches, like: rename, copy or move. Comfortable template editor that allows to carry out modifications of the names using tokens or modifiers. 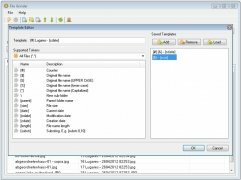 Capacity to use specific tags depending on the type of file: videos (MPG, MPEG, AVI), images (JPG, JPEG), audio (MP3, FLAC, OGG, WMA, APE, AAC), HTML, etc. Possibility to easily add scripts. The tokens are character chains and blocks that you can embed in the file name. In File Grinder, to give the files format, you cam make use of various tokens: counter, original name, original name with the first level of each word in block capitals, original name with the first level of each word in low case, creation date, modification date, file size, etc.